In the past year I have been amazed at the sudden appearance of a swath of delicate white flowers that occasionally appear on a grassy slope between the parking lots of two sets of businesses fronting U.S. 90 in our town. They pop up overnight, usually after a rain; and they last for several days. They disappear as suddenly as they come. They nod gracefully in the breeze, making me think they are magical fairy flowers. Their identity puzzled me, but I had not been formally introduced until Friday, Sept. 16. 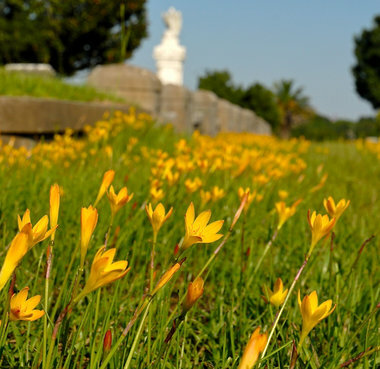 Bill Finch, executive director of the Mobile (Ala.) Botanical Gardens and garden writer for the Mobile Press-Register, featured the mysterious flowers in his weekly column under the headline “Daffodils of the Tropics.” His column is here. He noted they bloom in a variety of colors and the species and cultivars are numerous. The white species is Zephyranthes candida. Finch said they spread from origins in the Americas to other continents. In fact the photo I borrowed of the white version was taken in India. Finch had recent encounters with Zephyranthes citrina, the orange-gold species, in a grassy traffic median and others around a vacant house. He spotted white rain lilies in an old cemetery. The white species came from Argentina. 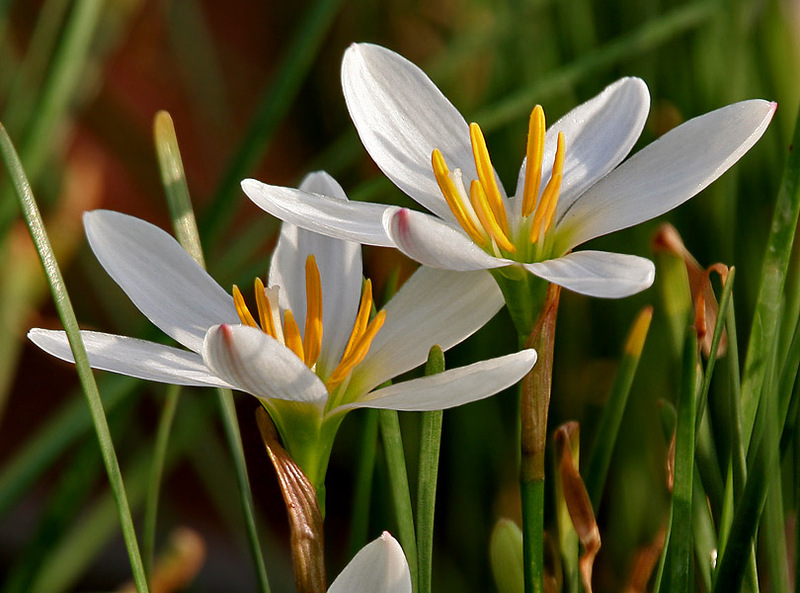 An attractive characteristic of rain lilies is they flourish in the face of neglect. I am good at unintentionally neglecting my outdoor spaces. Maybe I should order some bulbs! Those are beautiful. They remind me of the Snowdrops The I had in my yard in MO. They came up very early, usually beating the crocus in the very early spring. I had never seen or heard of these till a few weeks ago. They are beautiful, wish there were some around here.